Join us the last Monday of the month* from 5-6:30 PM as we host our fill-a-bag shopping event! $30 gets you a bag! After purchasing a bag, shoppers are escorted to a VIP room of pre-selected merchandise & encouraged to fill their bag as much as possible! As always, profits raised support the services provided by Career Wardrobe! Need an outfit for the weekend? How about some new pieces for your wardrobe? Join us the 2nd Thursday of each month from 5-7 pm for sipping spirits, light snacks, & 20% OFF shopping @ The Wardrobe Resale! Every 2nd Tuesday of the month, stop by St. George’s Episcopal Church to donate your new and gently used women’s clothing and accessories. All styles, all year round. 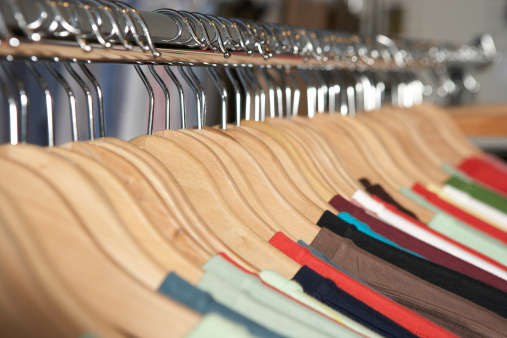 We ask items be clean, on hangers or folded neatly in paper shopping bags. No plastic trash bags accepted, thank you! Volunteers available to assist you with your donations. This location also accepts men’s business shirts, belts and ties! Join us for Hope’s Night Out! An evening of cocktails, networking, party games, prizes, auction, & more! Meet our clients & hear their stories & enjoy our annual Hope Walk of fashions, a runway show that is sure to delight! Joining us for the evening as emcee is the lovely Cherri Gregg from KYW! Make that all-important first impression!